Silikonschlauch (10x14mm) zur Stimmtherapie. Zur Therapie wird Schlauch einfach in ein Glas oder eine Flasche mit etwas Wasser gesteckt und Sie fangen an zu "blubbern". Die Länge der Schlauchabschnitte beträgt ca. 32-35 cm. 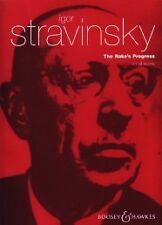 Igor Stravinsky's opera in three acts based on the fable by WH Auden and Chester Kallman. 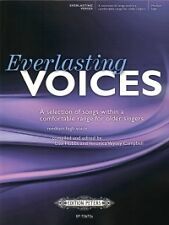 It is published here in the vocal score edition as part of the excellent Boosey & Hawkes catalogue. Printed sheet music book. BELTBOX: Vocal Dampener for Singers, Actors, Performers, Stress Relief Mint Cond. Condition is Like New. Shipped with USPS Priority Mail. Authorized Dealer! Factory Warranty! Free Shipping! 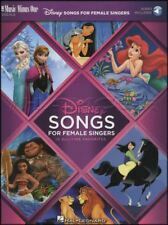 Disney Songs for Female Singers Vocal Sheet Music Book/Audio Frozen Moana Mulan. 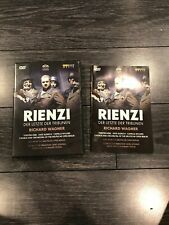 Rienzi Der Letzte Der Tribunen Richard Wagner German Opera 2 DVD Set. Rare region free set almost impossible to find in the US. Condition is Very Good with case and booklet. Free S&H! Verdi Rigoletto Opera Vocal Score Voice & Piano Sheet Music Book 9788875920135. Broadway Favorites Vocal Singer Piano Guitar Womens Edition SAME DAY DISPATCH. The World's Highest Rated Vocal Training System! Annie Jr. Vocal Score. Condition is Like New. Shipped with USPS First Class Package. Broadway Favorites Vocal Singer Piano Guitar Book Mens Edition SAME DAY DISPATCH. 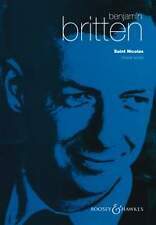 Edition Peters Urtext: EP4503 - J.S. Bach St. Matthew Passion (Matthaus-Passion) BWV 244. Soli, Chor und Orchester. Klavierauszug/Vocal Score. In German. Easy Hymn Fake Book Melody, Lyrics, Chords Over 150 Songs all in the key of "C"
Over 150 Songs all in the key of "C". Pretty close to those from the 60's. Blue is slightly off. High voice and piano sheet music. 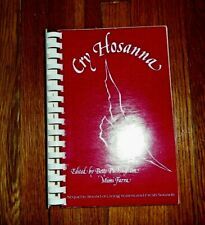 G F Handel Messiah New Novello Choral Edition Sheet Music Book Vocal Score. Arranged by Otto Singer. German text. Printed sheet music book. Vaccai Metodo Pratico Di Canto Soprano Tenor Vocal Sheet Music Book/CD Method. Disney Songs for Male Singers Vocal Sheet Music Book/Audio Aladdin Tarzan. Elton John for Singers Vocal Piano Sheet Music Book Your Song SAME DAY DISPATCH. Mancini At The Oscars Cban. Queen for Singers with Piano Accompaniment Vocal Sheet Music Book Voice Sing. Haydn Arr Scottsh Folk Sngs No 1-100. Twenty-Four Italian Songs and Arias. 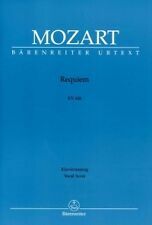 Herbert-Caesari 50 Vocalises Vowelisation Exercises Sheet Music Book Vocal. Twenty-Five Selected Songs. High Voice. A. Scarlatti. 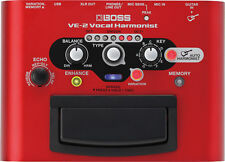 For High Voice. Haydn Con 1 Wind Inst Orch C Ed Clth. Leonard Bernstein Wonderful Town Vocal Selections. Music By Leonard Bernstein Lyrics by Betty Comden and Adolph Green. Printed sheet music book. Poulenc Dialogues of the Carmelites Opera Vocal Score Voice & Piano Music Book. Rossini La Cenerentola Opera Completa Voice & Piano Sheet Music Book Classical. Music can be a real help with all of this, so this book is begun with a chapter of introductions. Teacher's Book One. 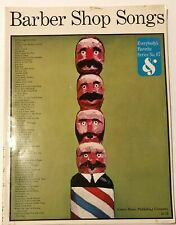 The King and I Vocal Selections Sheet Music Book SAME DAY DISPATCH.